November 2, 1944. G.I. 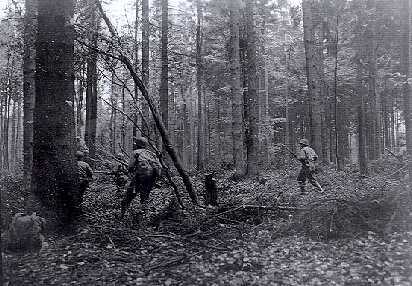 's of CO E, 110th IR/28th ID moving through the forest near the Raffelsbrand road junction.